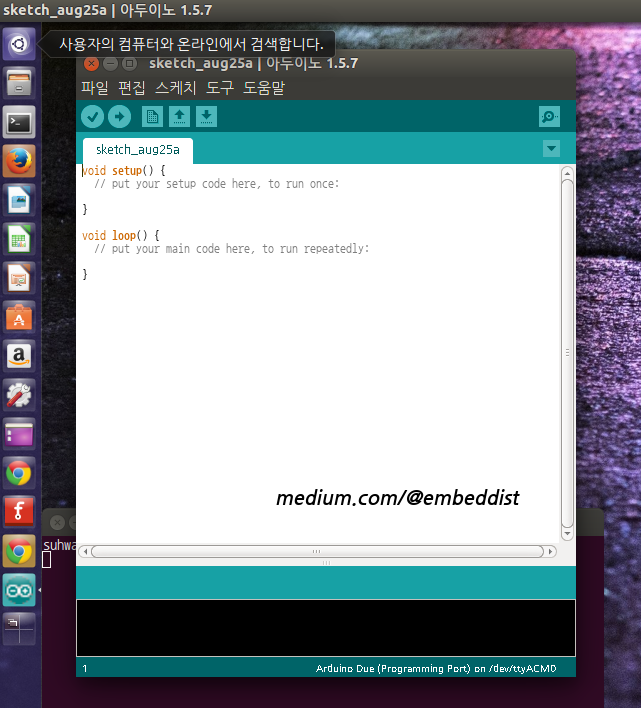 Ubuntu 14.04에서 Arduino 1.5.7 Install하기 — Medium. This entry was posted in WIZnet Ethernet Lib and tagged Arduino IDE1.5.7, Ubuntu 14.04. Bookmark the permalink.